Congratulations to the first day of winter! 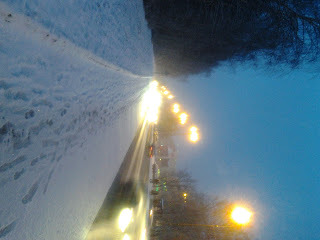 It's one of my favourite - snowstorm in the twilight, perple-bly sky and yellow lights of big town through it. And ski season is already open!